Hey everyone, kind of an atypical post here. If you were sitting at our table at Dark Lord Day and took a grey Marmot jacket home with you that wasn't yours, please post in the comments. I appreciate you leaving my keys on the table, but that jacket is kind of special to me. If you or anyone you know has seen my jacket (there are gloves in the pockets), please let me know. Thanks and I hope everyone had a great Dark Lord Day! Update: Josh from Flat12 is missing a grey and red Timbuk2 messenger bag. Please post in the comments if you picked this up or know who did. Update 2: Josh's bag has turned up. Huge relief there. Still looking for my jacket, though. Melting Pot Beer Dinner, May 9, 7pm tickets available in advance. For more information call 317.841.3601. #Clustertruck! Wednesday, May 15, 5-9pm! 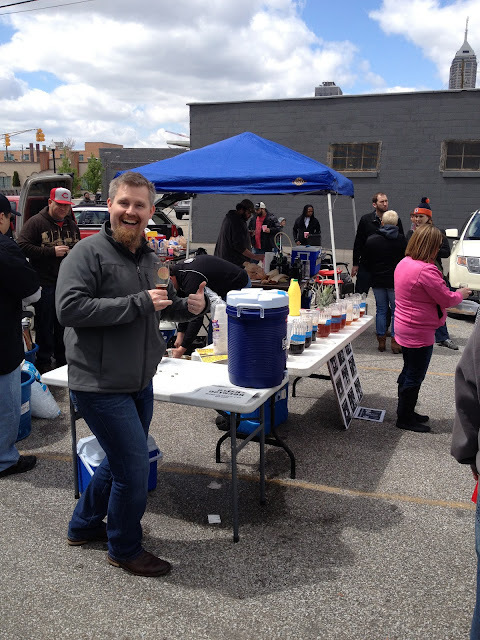 Join us and some of your favorite local food trucks in honor of American Craft Beer Week! American Craft Beer Week Tapping at Triton featuring a couple of bourbon barrel beers and the Pink Ribbon Saison, Thursday, May 16, 5pm at Triton Brewing Company! The Saison, a Belgian-style pale is packed with flavor, made with white and pink peppercorns and coriander. This sweet and spicy beer is big on flavor! Triton Beer Sampling, Friday, May 17, 4-7pm at 21st Amendment, 5561 N. Illinois Street, for American Craft Beer Week! Triton Beer Sampling, Friday, May 17, 5-7pm at United Package Liquors, 9908 East 79th Street, for American Craft Beer Week! 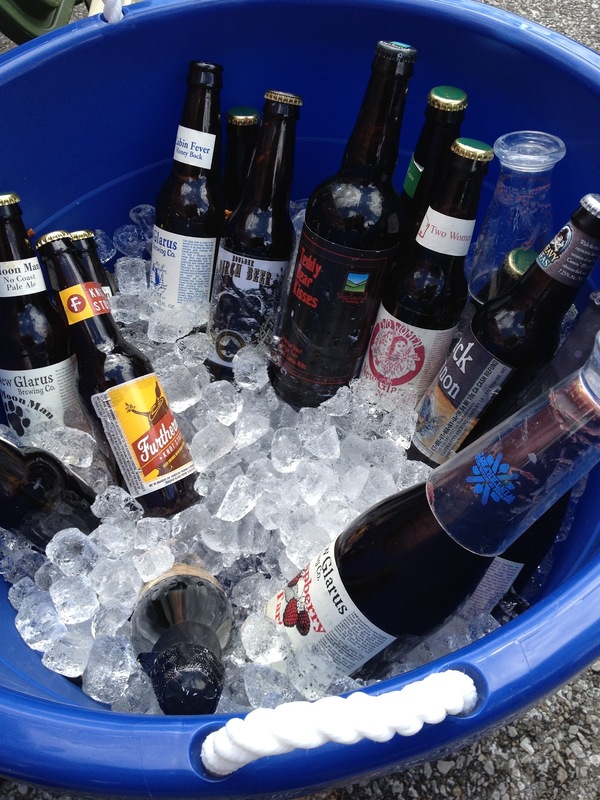 Triton Beer Sampling, Friday, May 17, 4-7pm at Crown Liquors, 150 North Delaware Street, for American Craft Beer Week! You can always fine the full list of locations that carry Lift Off IPA and our limited release beers on our website and we continue to add new locations weekly. Also, you can keep up with the latest news and learn about new locations to find our beers first by following us on our Twitter and Facebook pages. 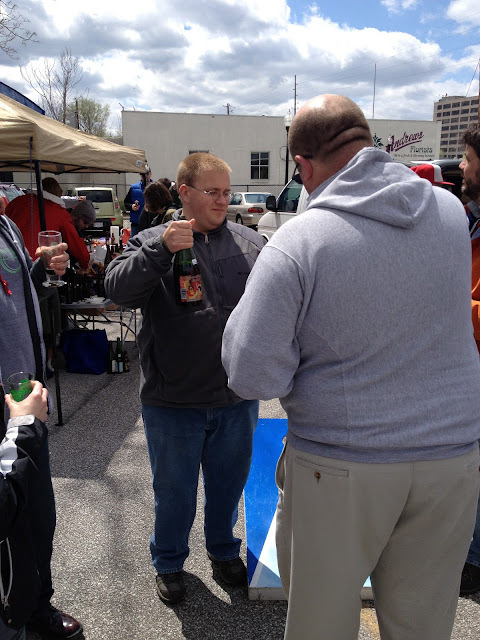 Want to know what people are saying about our beers? Check out our profile on Untappd. -Available this week in the taprooom - Hoosier Brown Rye, a collaboration with People's Brewing Co. of Lafayette. -Still on tap while it lasts: Experimental Hops (a series brewed with newly developed hop varieties) and 12 Penny Scottish Ale, a cold-conditioned Scottish Export ale, done in collaboration with Great Fermentations. Brewing kits are available at Great Fermentations. Thursday, May 16th: Sequicentennial Celebration of the Battle of Pogue's Run. 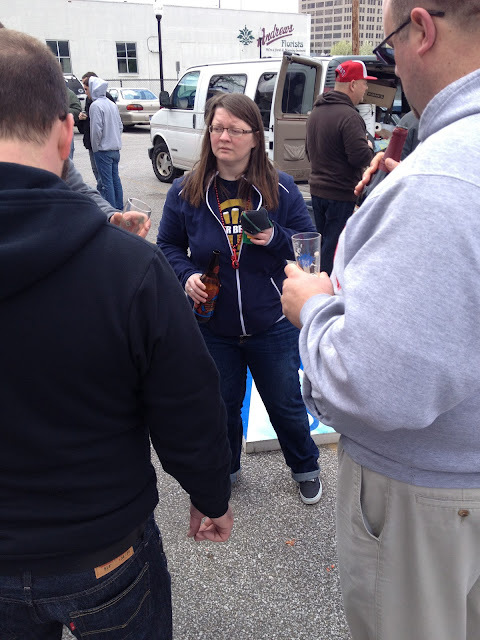 Tapping - Double Pogue's Run. Scotty's Brewhouse Mishawaka is now open! We have an amazing lineup of great craft beer on our 30 taps. Come by right now an enjoy a pint of Bell's Oberon for only $4.00 a pint on Thursday nights. 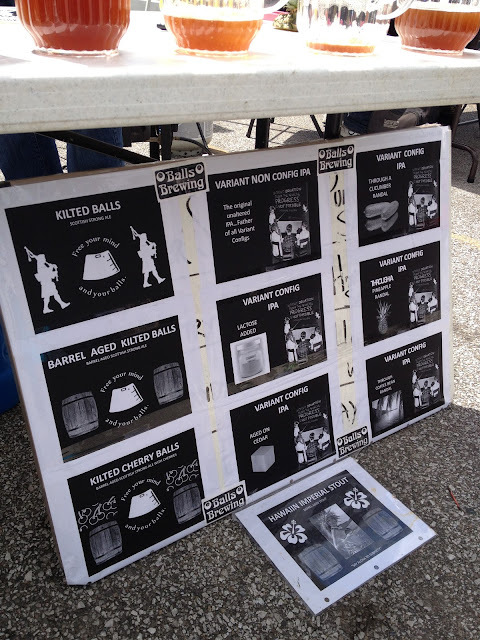 Participating Brewers: Upland, Bloomington, Bier, Triton, Brugge, Twisted Crew, RAM, and Evil Czech Brewing. 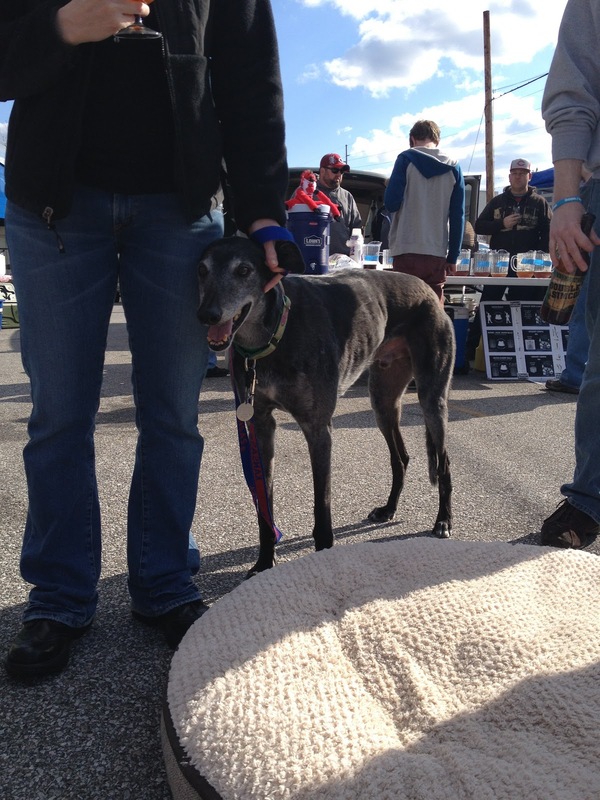 On Saturday April 27th, Upland is holding an all-day Spring Festival at the Bloomington Brew Pub. It's going to be an exciting time featuring the release of our Maibock, a Bavarian-style lager! Don't miss the free live music including the awesome Shaggy Wonda, Bloomington's Elephant Quiz, and Kid Kazooski & The Bufoonski Brother's Polka Band. Rain or shine the shows will go on! The bands are a blast but we didn't stop there! 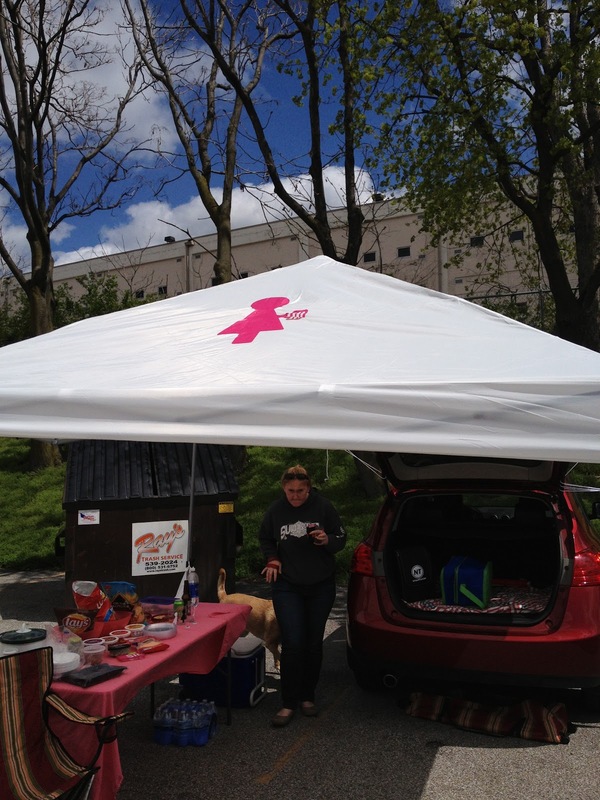 Enjoy a hot meal off our outside grill including giant turkey legs and challenge your friend to a game of corn hole. Don't miss out on this fantastic event to hang out with friends and enjoy great beer, great music, and a rockin' good time! 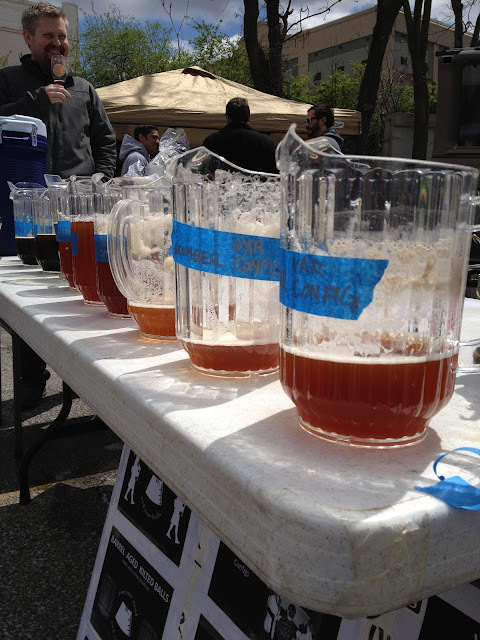 A celebration of National Homebrew Day, known as AHA Big Brew, is now in its 16th year. Tuxedo Park Brewers Supply will host a local gathering on May 4, 2013. Organized by the American Homebrewers Association (AHA), AHA Big Brew celebrates National Homebrew Day, honored on the first Saturday of May each year. 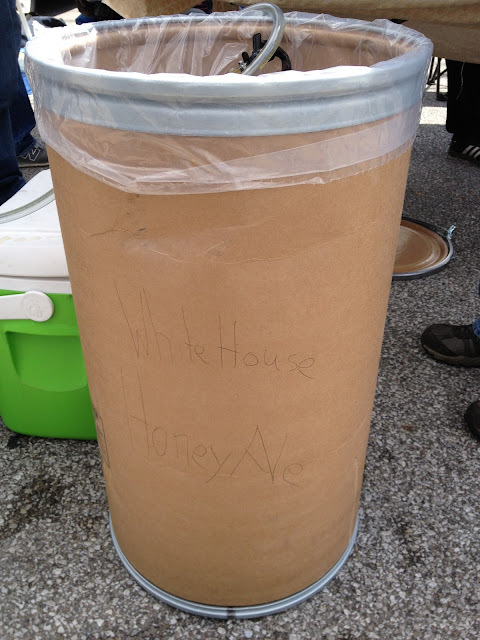 AHA Big Brew brings together thousands of homebrewers from around the world, all brewing the same beers simultaneously. More than 5,000 homebrewers from North America, Europe, Africa, Asia, South America and Australia are expected to participate this year. 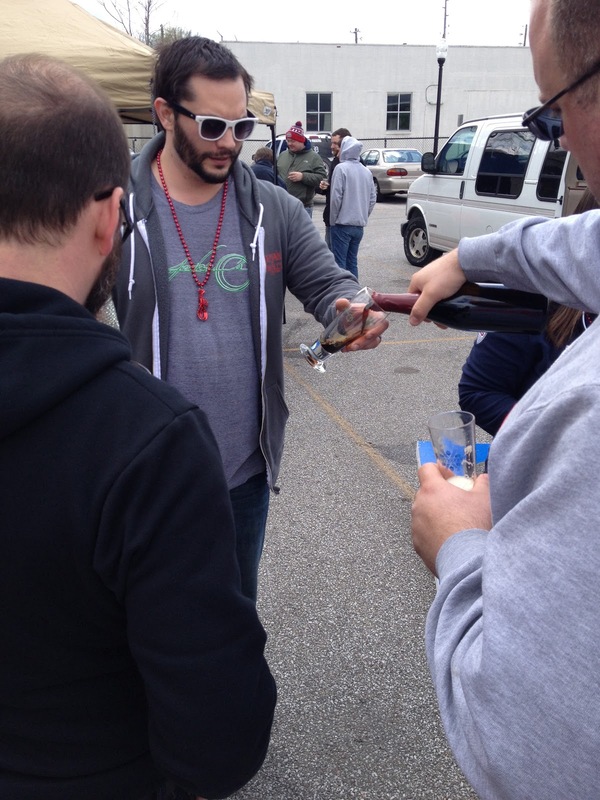 $60 General Kahn's Fine Wines Magical Brewery Tour will visit 5 of our top Indy Breweries! And more beer than you can shake a bottle opener at! Need more info? How 'bout a detailed itinerary? 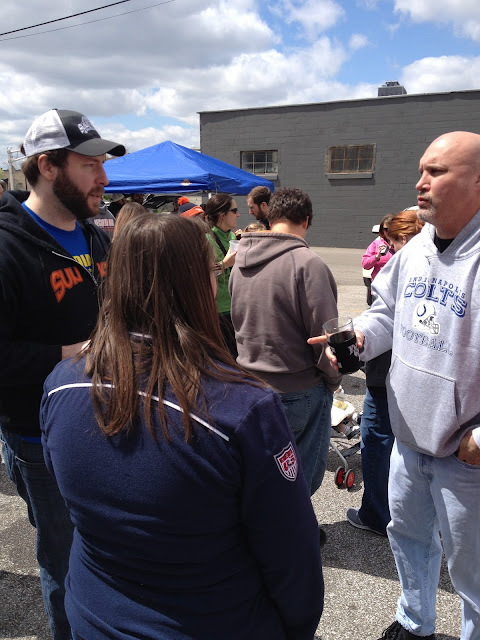 One of Triton’s founding members will lead this leg of the tour, discussing the unique history of the brewery’s location and specific elements of the brew process. Guests will sample Triton’s core beers, as well as a rare specialty brew. 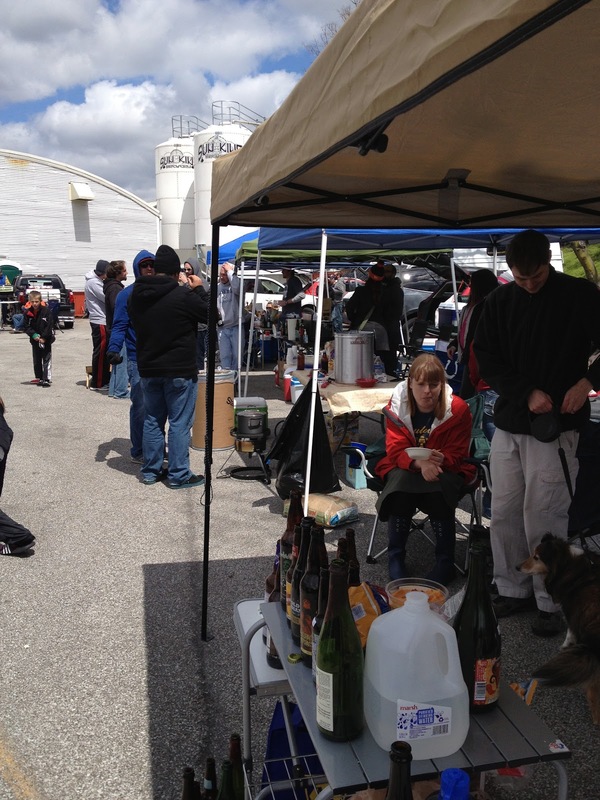 One of Indianapolis’s smallest, and most beloved, breweries. What’s it like being a small brewery in a big brewer’s world? 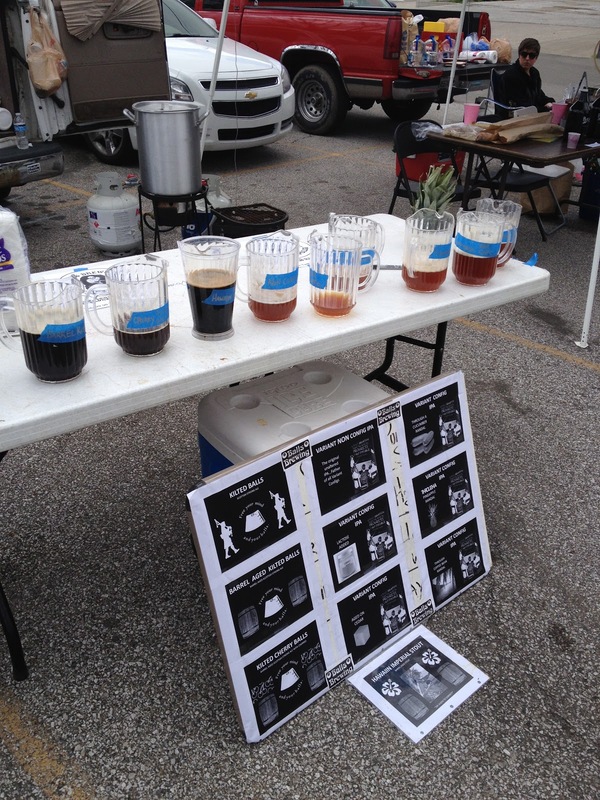 Sample the beers, and learn more from one of the brewers themselves! 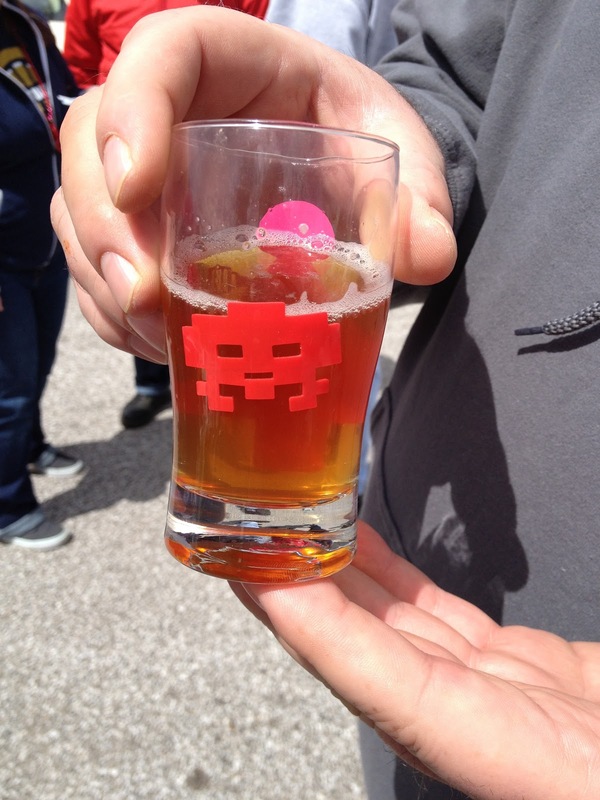 Sun King is not only one of the goliaths of Indy’s local brew scene, they have been growing their sour and barrel aging program by leaps and bounds for years now. Sample some rare brews, as well as local favorites, and learn just what it takes to make some of their most sought after beers. Come walk the floor of Flat 12 with a brewer, and learn more about how they create their classic brews, as well as their notoriously unique limited release selections. We’ve got their brews to sample, and some excellent surprises to take home! We know at this point you’ll be getting hungry! Learn about brewing Belgian style ales, chow down on a fabulous spread provided by Brugge Brasserie, and enjoy samples from their phenomenal selection of beers! 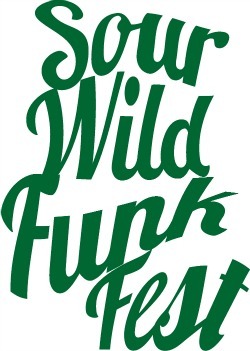 Upland Brewing Company will host their second annual Sour Wild Funk Fest, the Midwest's premier wild ale festival, on Saturday, May 11, 1:00-5:00pm, at Developer Town, 5255 Winthrop Ave, Indianapolis, IN. 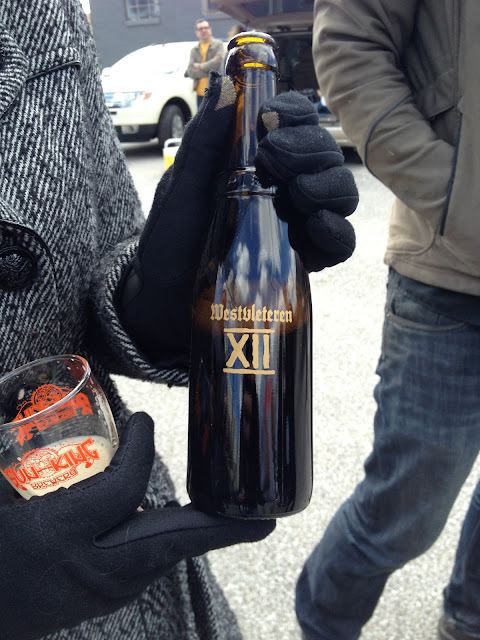 This year over 20 breweries will be included from across the country and world, with over 50 beers to enjoy. The focus of this festival is to celebrate the wild ale category of beers, focused exclusively on Lambic, Flanders, Farmhouse, and Saison style beers and ales. These beers are finely and carefully crafted, taking months and sometimes years to produce. Some have a distinct tart or sour flavors, other have vinous qualities, while other have uniquely funky characteristics. 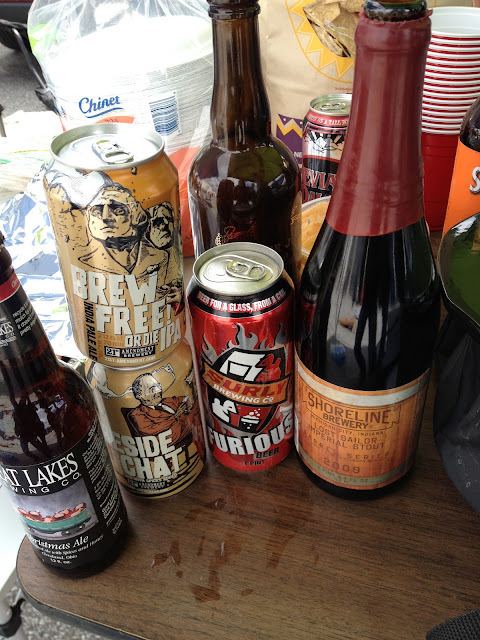 This rapidly growing category of beers has had a tremendous impact on the craft beer community, and Upland is directly in the midst of that trend. VIP tickets are sold out. General Admission is $45 and includes a commemorative sampling glass, and samplings of delicious craft wild ales, with paired meats, cheeses, fruits, and desserts provided by event partner Smoking Goose Meatery. Designated Driver tickets will also be available and include food and non-alcoholic beverages. Tickets can be purchased at www.UplandSourFest.eventbrite.com. 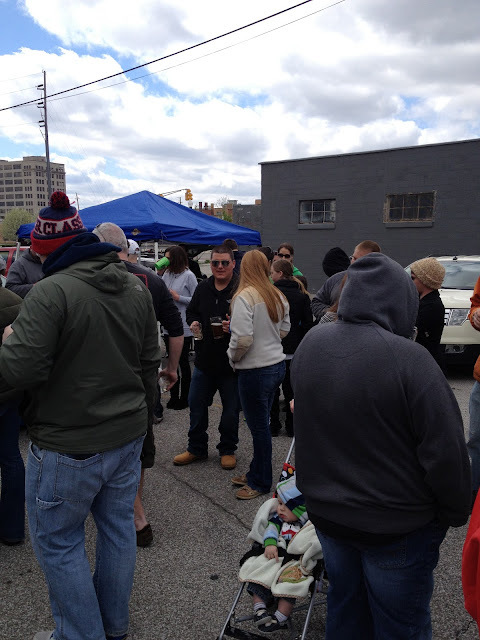 On Saturday at Sun King Brewing Company's back parking lot, the eighth and best-attended Tailgate for Nothing took place. A time to share beer. A time to share food. 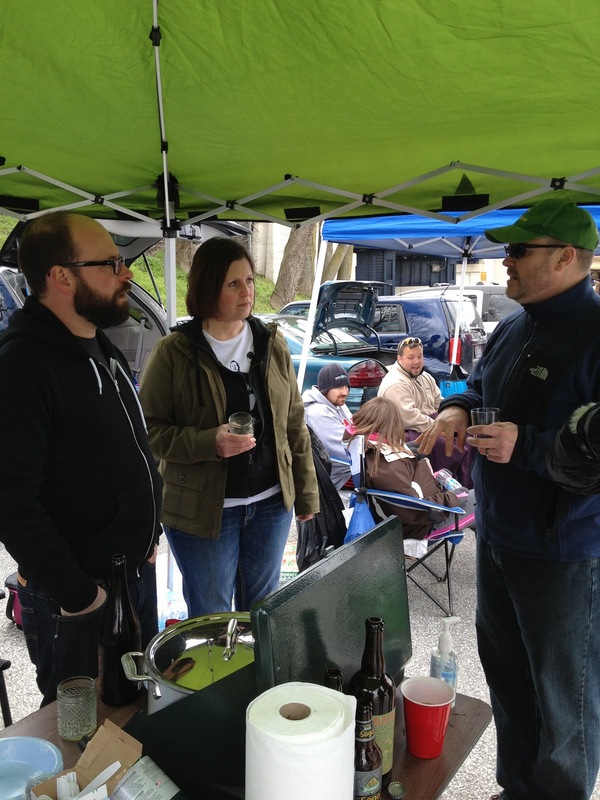 A time to promote the spirit of camaraderie through the love of craft beer. "Pot Food" was the theme. That theme was taken quite seriously by TFN8 attendees. 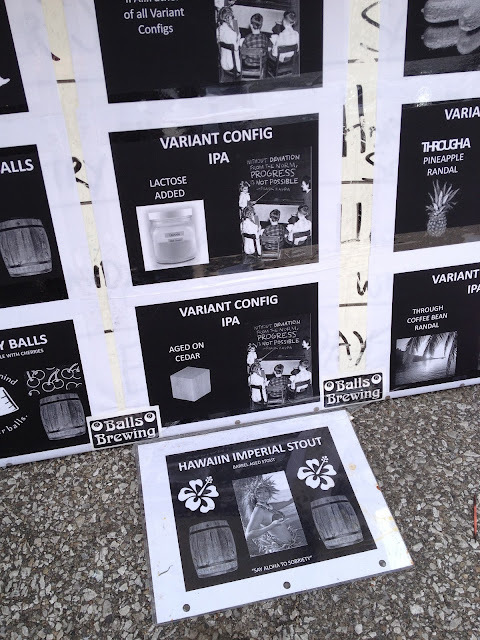 The gentlemen from Balls Brewing, for example, offered up steamed mussels and frites that were worthy of Brugge Brasserie's version. 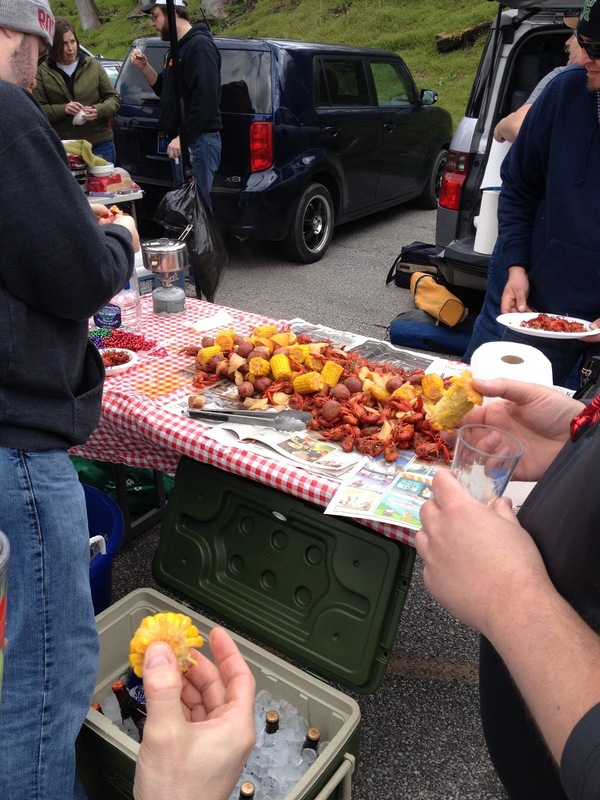 Someone set out a genuine Cajun crawfish boil. There was curried goat stew. There was even vegan stew. And yes, there was plenty of delicious beer to go around. Despite the chilly weather, old friends came, and new friends were made. Folks came from as far as Wisconsin. 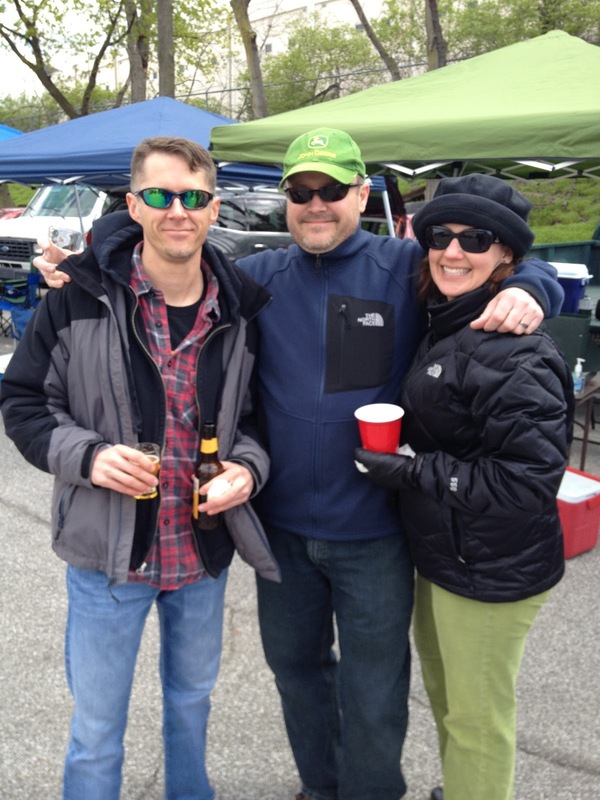 People who had no idea about the event stumbled on to it and found themselves having a great time. The ladies of Girls Pint Out came and brought cool swag along with some of the best chocolate chip cookies on the planet. Folks from Black Acre Brewing Company joined us. 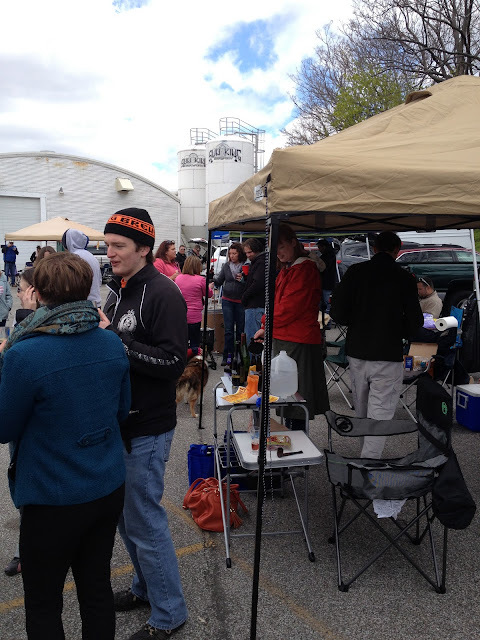 The Brewers of Indiana Guild held a meeting of its members at Sun King, and some of Indiana's finest brewmasters joined in the festivities after the meeting. Thankfully, everyone seemed to enjoy themselves as the sun managed to finally show itself mid-afternoon to chase away some of the cold. 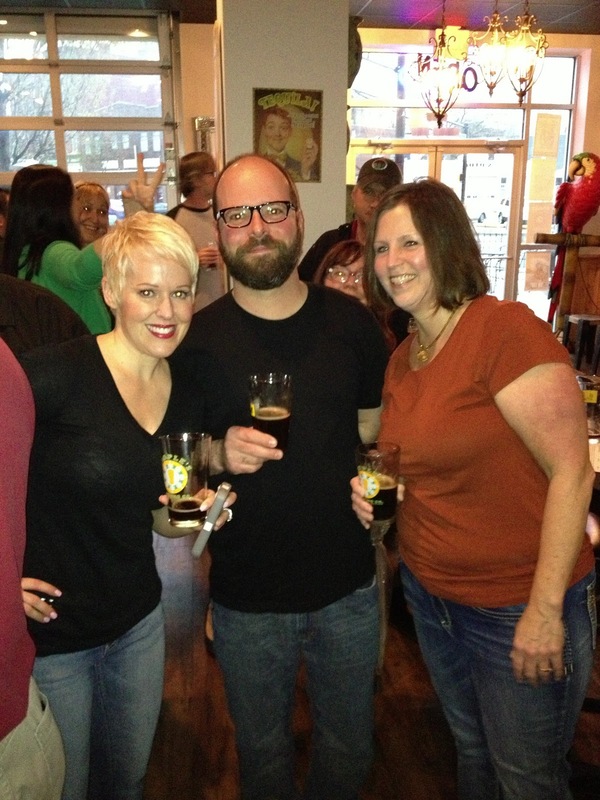 Our enduring gratitude goes out to the folks at Sun King for allowing us to hold TFN yet again at their place. We've done this eight times now and hope that we'll be able to continue the tradition this fall with our ninth TFN. We also extend a hearty thanks to everyone who attended TFN8. We enjoyed seeing familiar faces and seeing new ones as well. We hope you enjoyed the experience. We certainly appreciate all the great food and beer that you brought and are grateful to those of you who tidied up after yourselves before you left. A few folks left behind a bit of a mess, but we trust that they'll do better next time as our ability to continue holding the event at Sun King depends upon our courtesy to them for letting us use their space. 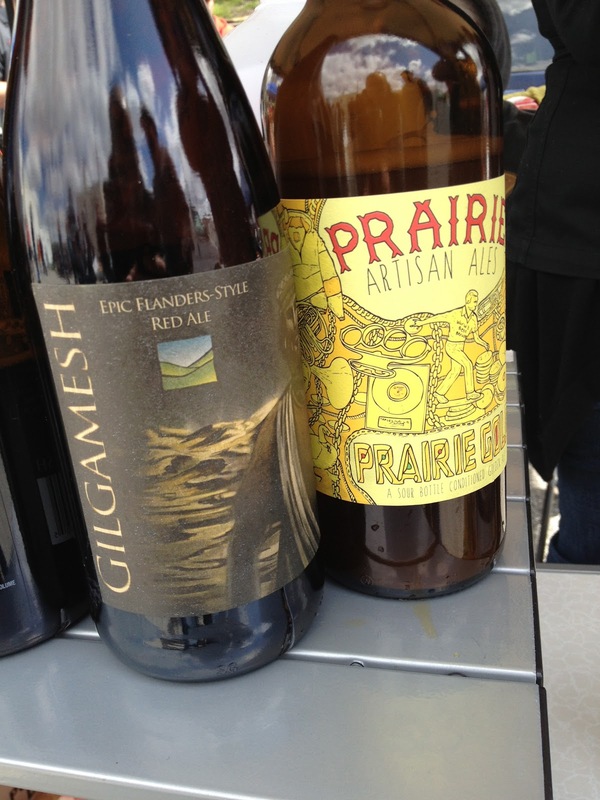 On Thursday night, attendees of our April Pint Night battled the elements to get to La Margarita to enjoy Prairie Artisan Ales' Funky Galaxy. 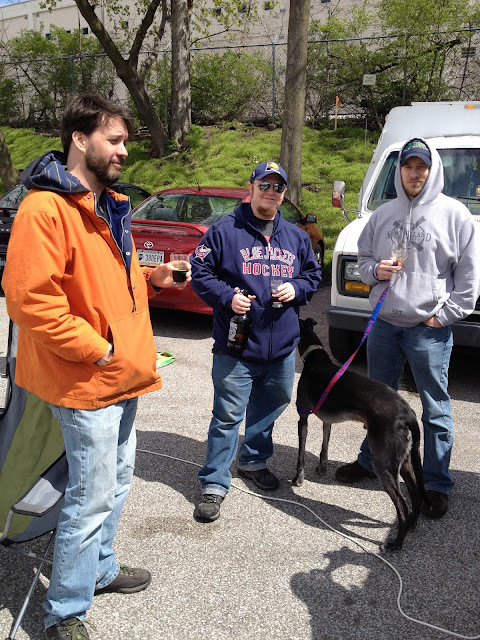 We thank them for coming out to share a pint and some camaraderie. Funky Galaxy was indeed funky, citrusy, and delicious as expected and lived up to the hype that has surrounded Prairie's arrival in Indiana. We encourage you to give Prairie's beers a try because they're truly doing some creative and tasty things with the Saison style. We also thank Jon Rangel and La Margarita for hosting us. If you've never been to La Margarita and you're into craft beer, we urge you to go. Jon keeps all taps flowing with craft beer and almost always has something on tap that no one else in town has. He also does a great job with the bottle selection. 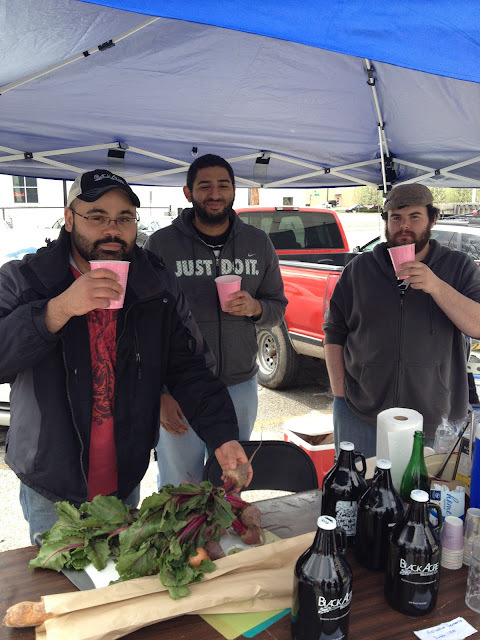 May's Pint Night is tentatively scheduled for Thursday, May 23 at the Tomlinson Tap Room at the City Market. 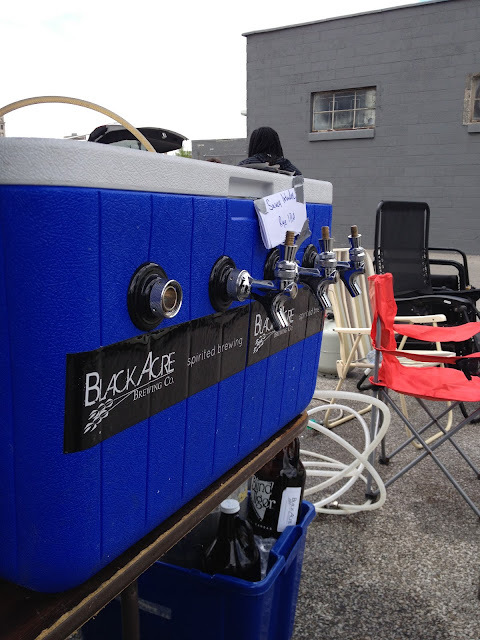 The beer selection is yet to be made, but we'll update you when that happens. In the meantime, save a spot on your calendars for our first Pint Night that will feature an Indiana beer. Railsplitter IPA Grapefruit Zest Firkin Tapping at Triton Brewing Company, Thursday, April 25th, 5pm with KG’s Slider Station! First, thank you to everyone who stopped to visit us in Bloomington last week when we were in town at the end of the week or at the Bloomington Craft Beer Festival on Saturday. We enjoyed an official event at the FARMbloomington and some unofficial hang out time at The Tap with friends and other brewers. Btown is doing it right! Looking forward to 2014. Remember a full list of where you can find our beers is on our website and we continue to add new locations weekly. 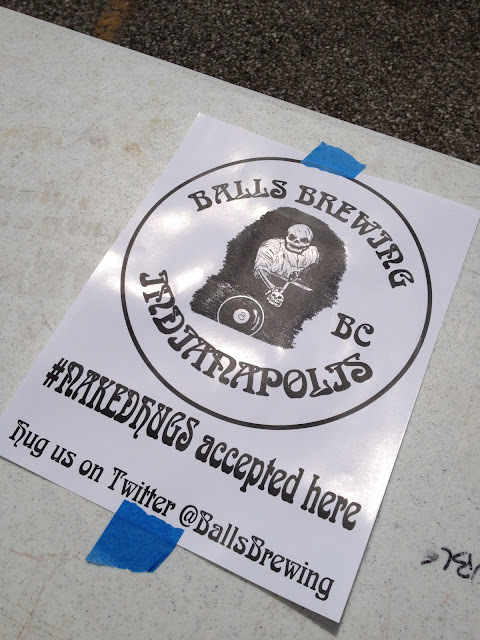 Also, you can keep up with the latest news and learn about new locations to find our beers first by following us on our Twitter and Facebook pages. Want to know what people are saying about our beers? Check out our profile on Untappd. Still on tap while it lasts: 12 Penny Scottish Ale, a cold-conditioned Scottish Export ale, done in collaboration with Great Fermentations. Brewing kits are available at Great Fermentations. Sun King Tap Takeover at Dorman Street 5/23 (tap takeover), 6pm-? Thr3e Wise Men is now pouring Rocky Ripple Pale Ale! We are now adding this to our full lineup of house beers! Come by and try this new style that will be on our taps all year around. You can enjoy a pint of this amazing beer every day of the week for only $5.00. Did you know that Thr3e Wise Men is now distributing to other Bars & Restaurants? We are offering our Snow Bunny Blonde, Centennial Martyr Double IPA and @Brewhouse Brown through Cavalier. Talk to your local Cavalier rep. Click here for more info. At Patrick's Kitchen in Zionsville, our patio has been open and full the last two Sundays! Thanks everybody for that...On tap at the moment we have Gaffel Kolsch, Sun King Batch 888, with Kentucky Brewing's bourbon ale, Triton's Deadeye stout and Ommengang's Abbey Ale, La Trappe Quad is ever present if we can get it...and it is right now!. There is also Mission Brewing's Shipwrecked a double IPA, and Clipper City's HOP3..as well as Stone brewing's IPA and we are hoping to tap the keg of Houblon Chouffe first thing tomorrow when World Class Beers brings us a tavern head!!!!!! In reserve we have a keg of SK Cream Ale, and Some Oberon and a Flat 12 porter...and other tasty beers. On Saturday, April 20 the Trion Tavern will be hosting Owner/Brewer Clay Robinson and Off-Premise Account Manager Eric Fear of Sun King Brewing Company for a 20-Tap Takeover ("20 on the 20th"). This will be the official celebration of Sun King's expansion to distribute their beers in Northeast Indiana at Northeast Indiana's Premiere Craft Beer Destination. All SK beers will be just $4.75 and beers from all 38 other taps will be only $3.50.